How about a pink elephant? 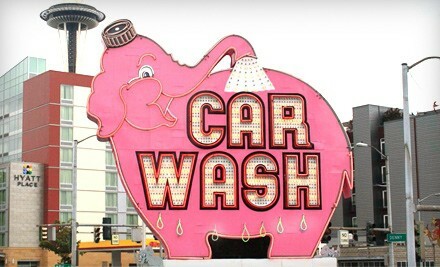 The rotating pink elephant sign of the Elephant Super Car Wash located on Battery Street and Denny Way–literally a block or two from the Space Needle–surprisingly takes the ribbon in this case. While the Space Needle is certainly iconic and a major tourist attraction, and despite the exhilarating view from the top, the Elephant Super Car Wash sign reels in more shutter-snappers for one crucial reason: it’s a hot pink elephant in the middle of Seattle! 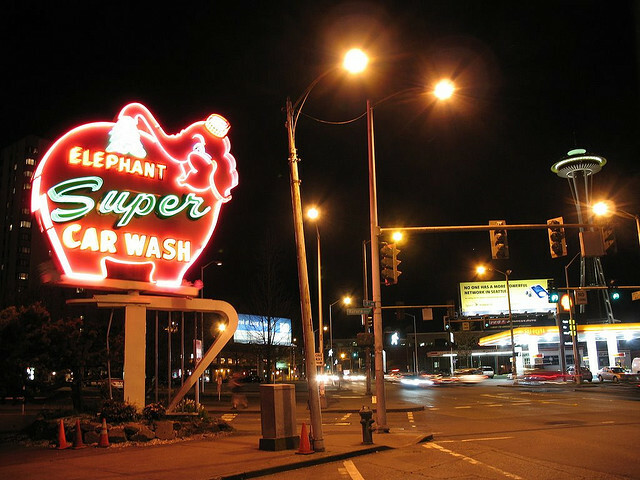 Elephant Super Car Wash began in 1951, 11 years before the Space Needle was introduced to the Emerald City, so it has more seniority in the Seattle area, and it has become quite the landmark it it’s own right. And, while during the day it is quite loud, at night it lights up, and who with a camera can resist a giant glowing neon hot pink elephant–if for no other reason than to show proof that they’ve seen one? There is also the convenience (or, rather inconvenience) factor. Taking a good picture of the Space Needle can be difficult because without the right angle, buildings and/or trees end up obstructing the view of a nice, clean shot. 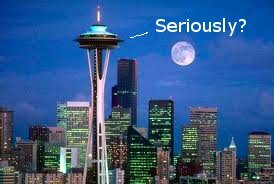 Not to mention that taking a snapshot of the Needle while in a moving car is just an accident waiting to happen. Although, after you’ve crashed and are staggering dazedly on the highway, you might find that you’ve ended up at just the right angle for that perfectly framed Space Needle shot.